This is by far my favourite mud cake and I have been making it for years. I'm a white chocolate fan. 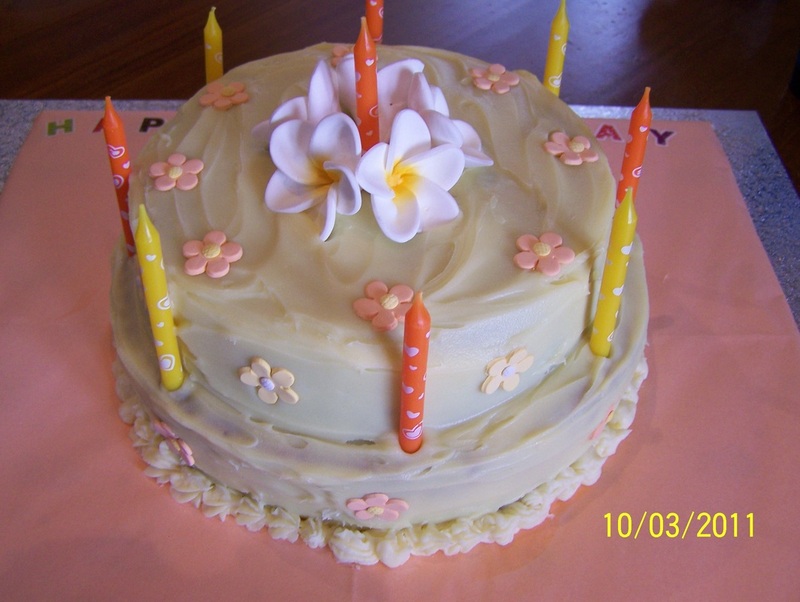 This cake is used in a lot of the party cakes I make. The white chocolate ganache I use instead of buttercream on all my cakes. Very simple to make, no waiting for butter to soften or anything like that. Again, I love this (as with all my other mud cake versions) to be served with ice cream, to truly enjoy it. Preheat oven to moderately slow 160C. Grease and line base and sides of a deep 20cm round cake tin, allow paper to extend 5cm above the cake tin. Combine butter, chocolate, sugar and milk in a medium saucepan. Over low heat, stirring regularly, without boiling, stir until the chocolate and butter are melted and the sugar has dissolved. Transfer to a large mixing bowl, allow to cool for 15 minutes. Whisk in combined flours, egg and vanilla. Pour mixture into your prepared pan. 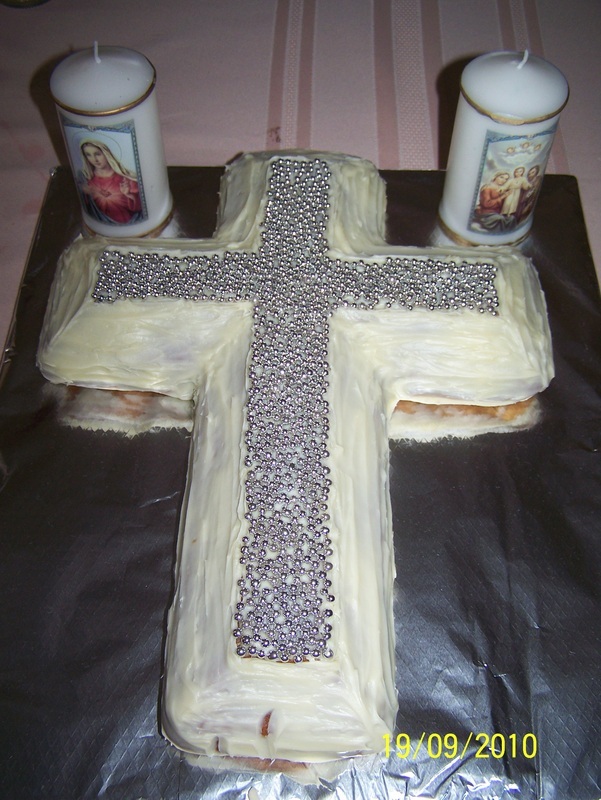 Bake cake for 1 hour. After 1 hour, place a sheet of foil loosely over the top to prevent your cake browning too quickly. Bake for a further 1 hour. Remove from oven, leave to cool in tin for 10 minutes, then turn out onto a wire rack to cool completely. 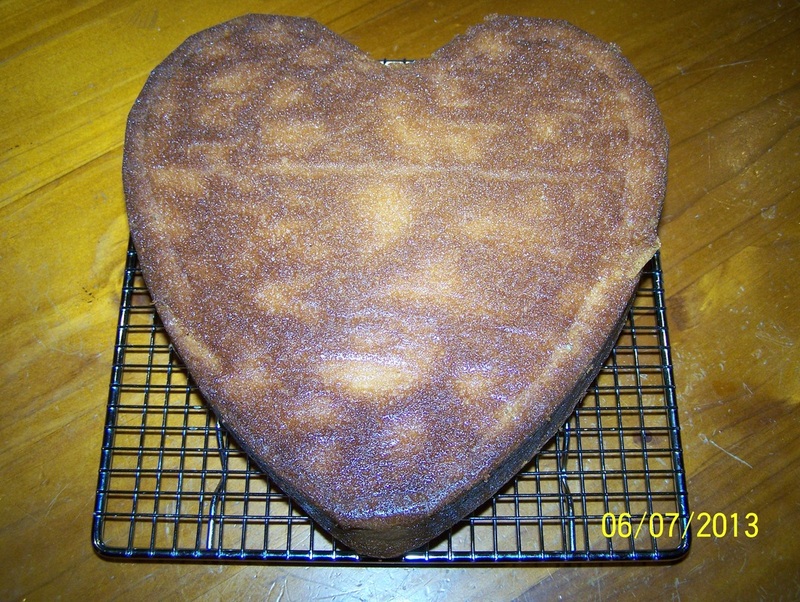 Heart shaped version for an anniversary. White Chocolate Ganache: Place cream and chocolate in a heatproof bowl, place bowl over a pan of simmering water. Stir until chocolate is melted and you have a lovely smooth mixture. Place ganache in the refrigerator and give it a mix every 10 minutes, until the ganache is of a spreadable consistency, this takes between 30 minutes to an hour. 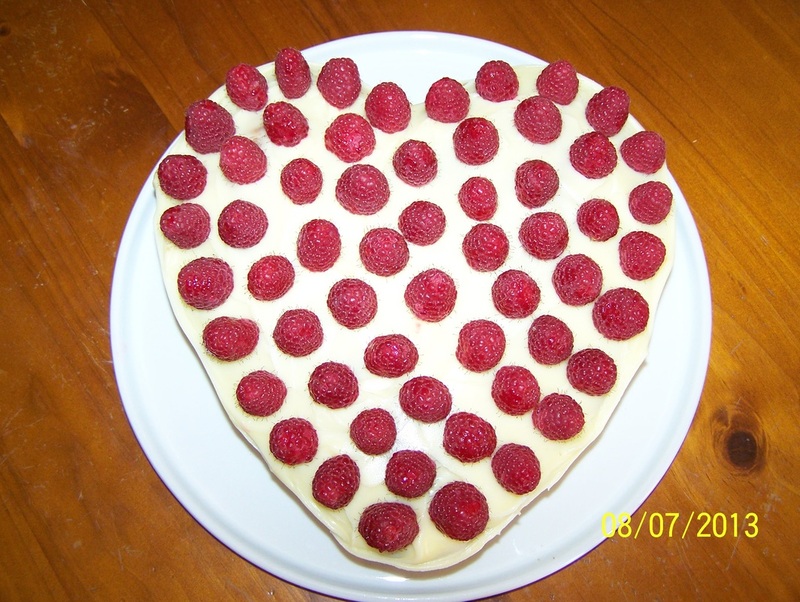 Place cake on serving plate and spread all over with the white chocolate ganache. 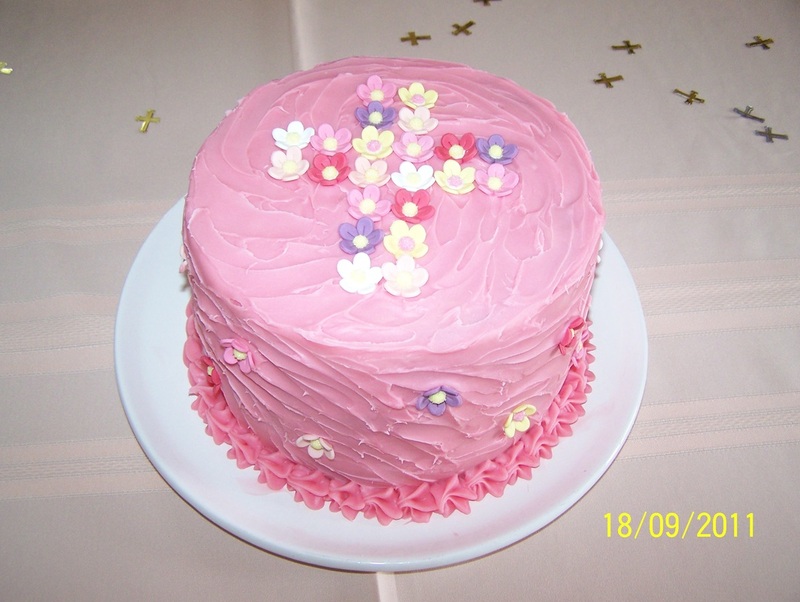 My daughter's Communion cake, I tinted the ganache pink.